City and federal agency will meet to address concerns, but anchorage won’t be ready in time for Memorial Day. NEWPORT BEACH — Efforts to establish a second permanent (and year-round) anchorage at Newport Beach Harbor have hit a snag, as the U.S. Coast Guard withheld initial support of the city’s plans. Newport Beach officials, however, will be meeting with representatives of the Coast Guard’s Los Angeles-Long Beach Sector to discuss the possibility of a trial run. The city’s second anchorage, which is located near the Turning Basin in the harbor’s west end, had operated as a temporary boating venue during the past few years. 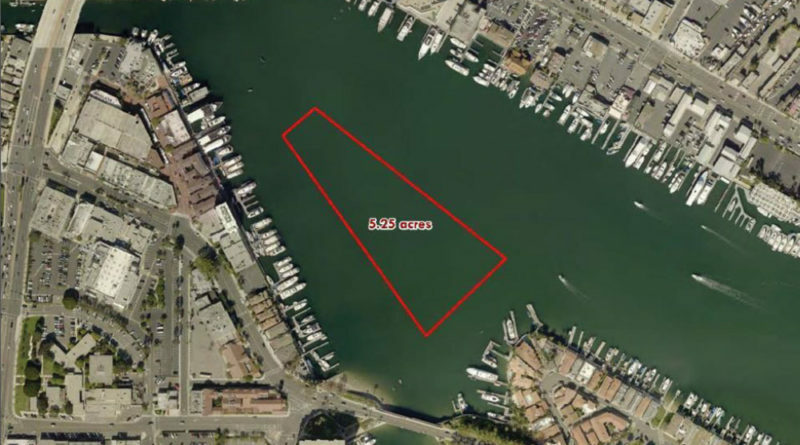 A permanent public anchorage already exists on the east side of Lido Isle. City officials hoped to establish the anchorage as a permanent facility this year, however the Coast Guard’s lack of support, as of now, has put those plans on hold – at least for now. High traffic volume in the Turning Basin area was cited as the reason for the lack of Coast Guard support, two sources with Newport Beach City Hall confirmed. Newport Beach Harbor Resources Manager Chris Miller told The Log he is campaigning the Coast Guard to reconsider its position and allow the city to move forward with a trial run of the public anchorage. Miller added he hopes to ease the Coast Guard’s concerns about safety and traffic. The west end anchorage, however, won’t be operational in time for Memorial Day, Miller said. Whether it does come online at some point during the next few months will depend upon his discussions with the Coast Guard. Newport Beach’s City Council would also have to approve plans should the Coast Guard be on board. Plans to make the city’s second public anchorage permanent began earlier this year with a recommendation by the Newport Beach Harbor Commission. Commissioners specifically recommended city staff to jump over the various hurdles to create a permanent and year-round anchorage at the Turning Basin. A representative from the Coast Guard’s Alameda base visited Newport Beach and toured the portion of the harbor where the permanent anchorage was proposed. The representative, according to Miller, expressed some concerns but said the Coast Guard would conceptually be open to a trial run before considering a permanent year-round anchorage. Miller added the Coast Guard wanted to be involved with such a trial run, if it were executed. City staff then followed-up the meeting by submitting a formal proposal for a permanent and year-round anchorage near Newport Beach Harbor’s Turning Basin. The proposal was not approved, with the Alameda base relying upon advice of the Los Angeles-Long Beach sector. Miller, accordingly, reached out to the Los Angeles-Long Beach sector to request a meeting between Coast Guard representatives there and Newport Beach’s city staff, with the intent of discussing concerns and negotiating a solution. The future of the anchorage remains uncertain at this time, but Newport Beach has spent a few years trying to make the venue work as a destination for boaters angling to visit the central Orange County coast. A temporary anchorage at the Turning Basin was first established in 2015 and was brought back again in 2016 and 2017. Each temporary anchorage was established during peak boat season and with the intent of measuring demand for a second such venue in Newport Beach.